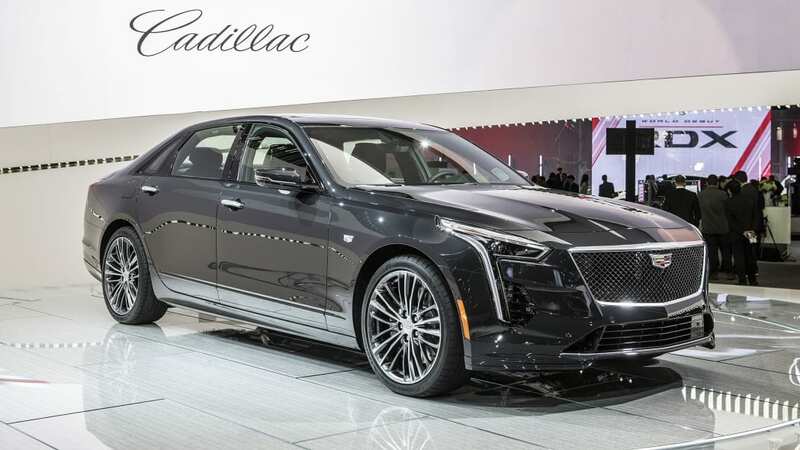 With the refresh of the Cadillac CT6 for 2019, Cadillac welcomes the first CT6 V-Sport as well as a new trim strategy. 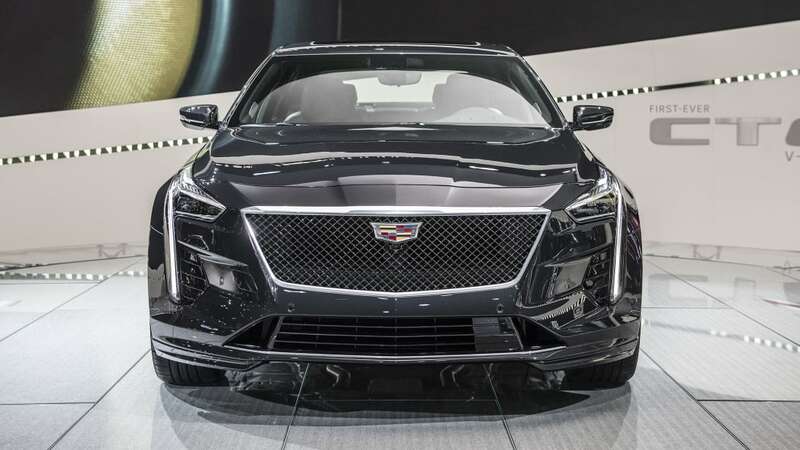 The changes at the front for the CT6 lineup don't appear substantial viewed head-on, one needs a side view to appreciate the greater three-dimensionality. 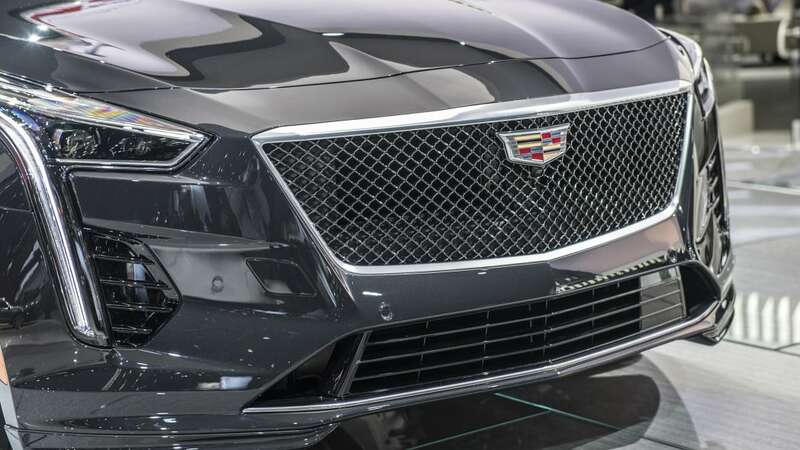 Thinner headlights and a thinner bumper above a slightly larger lower front intake emphasize the mesh grille, and the vertical LED DRLs make more dramatic statements thanks to those narrower headlights. 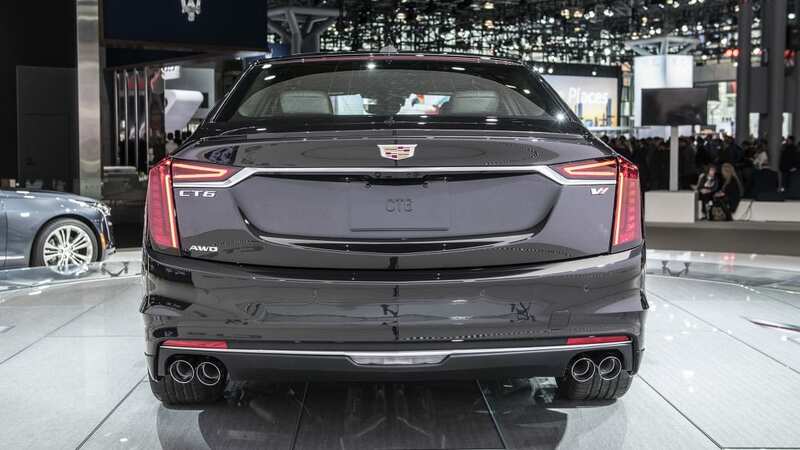 By angling the main units back toward the rear of the sedan, the CT6 now has a certified, sculpted snout. The rework appears to add substantial overhang, but overall length only increases by a tenth of an inch, to 204.1 inches. The 4.2-liter item features an aluminum block, heads, and pistons, direct injection with a 9.8:1 compression ratio, cylinder deactivation, cylinder oil jets, and a variable-pressure oil system. The twin-scroll turbochargers capable of 20 pounds of boost sit in the 90-degree vee, working alongside twin water-to-air intercoolers, twin throttle bodies, and twin electric wastegates. 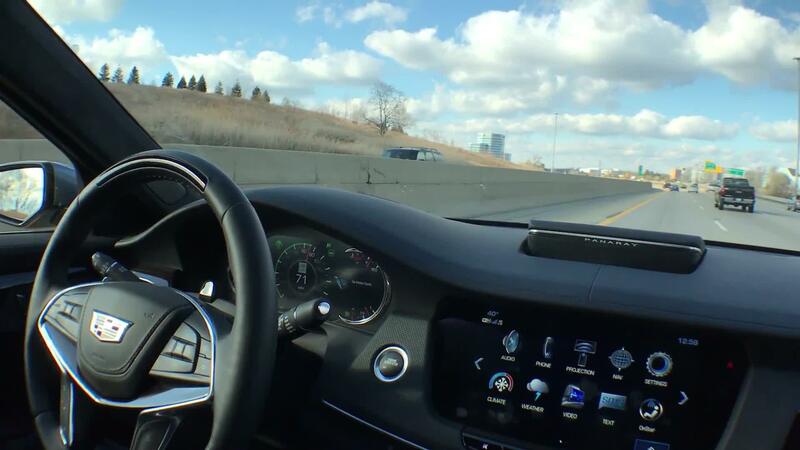 Cadillac says 90 percent of torque arrives at 2,000 rpm and loiters through 5,200 rpm. 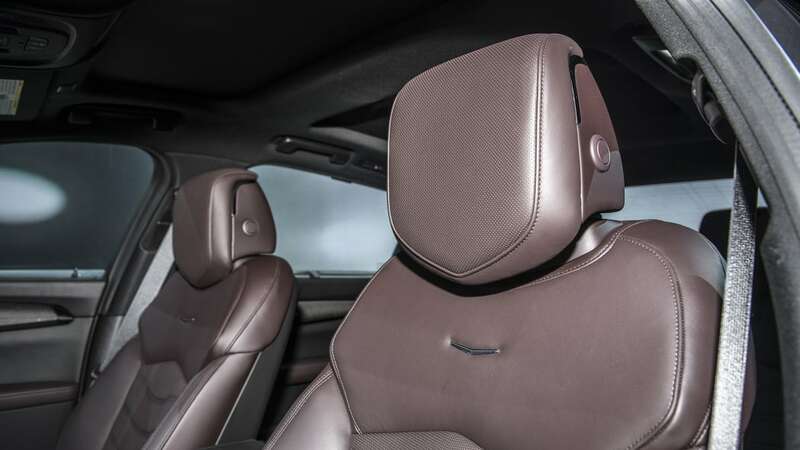 Power gets sent through GM's 10L90 ten-speed automatic transmission and on to the standard all-wheel-drive system. 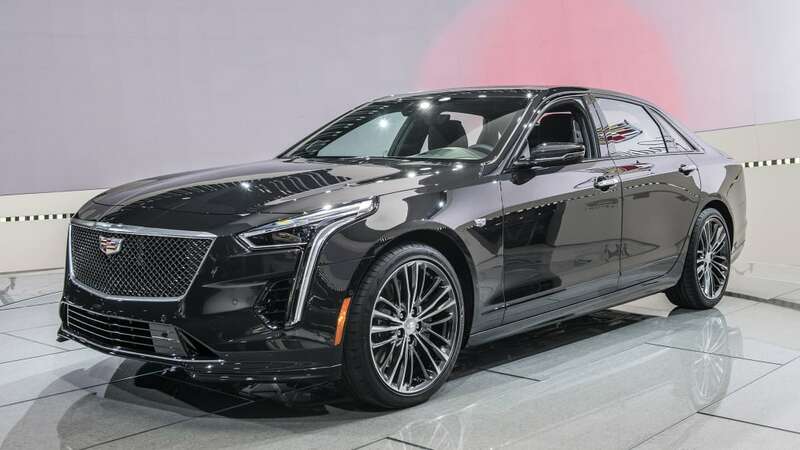 Cadillac didn't list 0-to-60-mph times in its press release, but engineers have track-worthy alacrity in mind for the CT6 V-Sport. 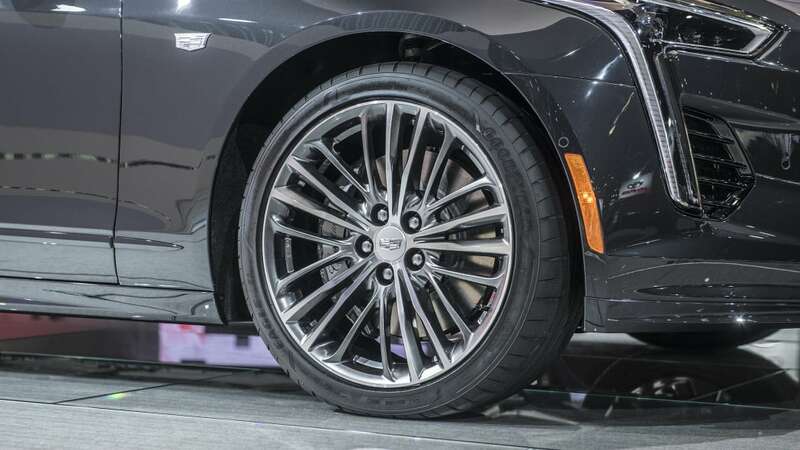 The white coats tweaked the steering and Magnetic Ride Control dampers, installed a limited slip differential, and a new 19-inch Brembo Monoblock brake system with four pistons in front and performance pads. The V-Sport rides on Goodyear summer-only performance tires. To make sure the engine sounds the part, an active exhaust pumps up the volume through four quad pipes. 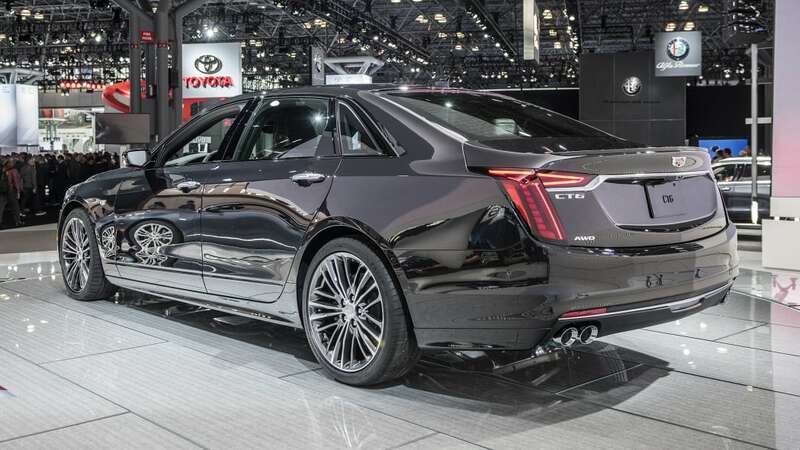 And the sedan has a Track Mode that activates a more serious calibration throughout, changing the dynamic torque split, and modifying the details on the "Track-tuned Active Rear Steer." 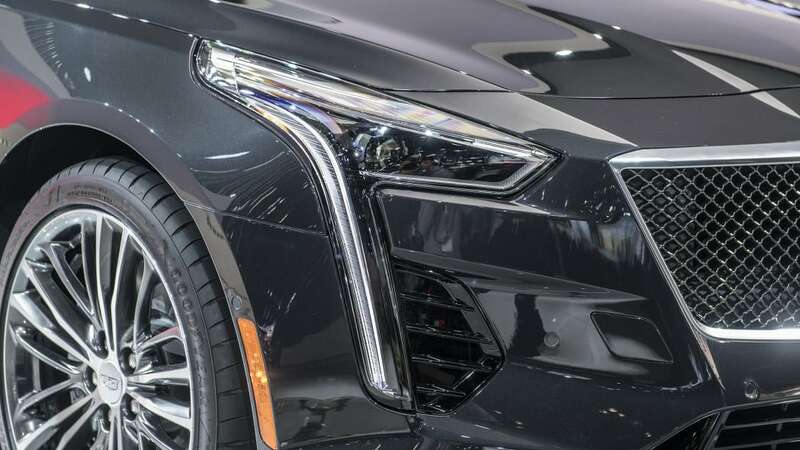 Standard LED headlights, Gloss Black side window trim, and exclusive 20-inch wheels begin to differentiate the V-Sport model; non-V-Sport models get "high-lumen" headlights. 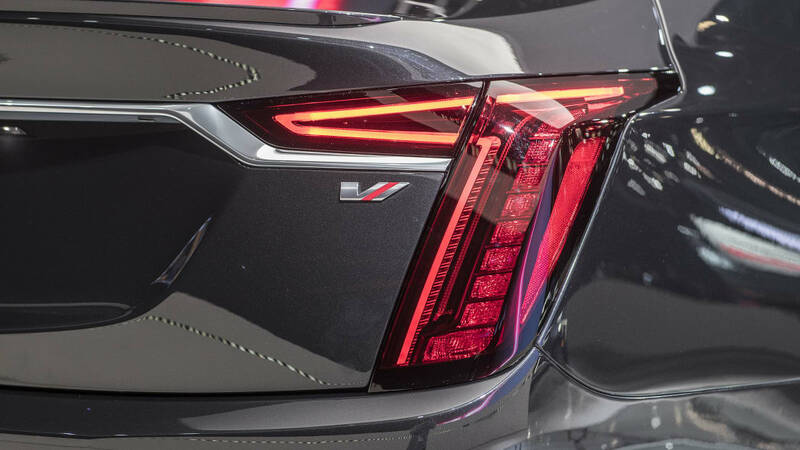 In back, redesigned taillights across the range get horizontal sections in the decklid that cross the shutline, in a mirrored "7" motif. 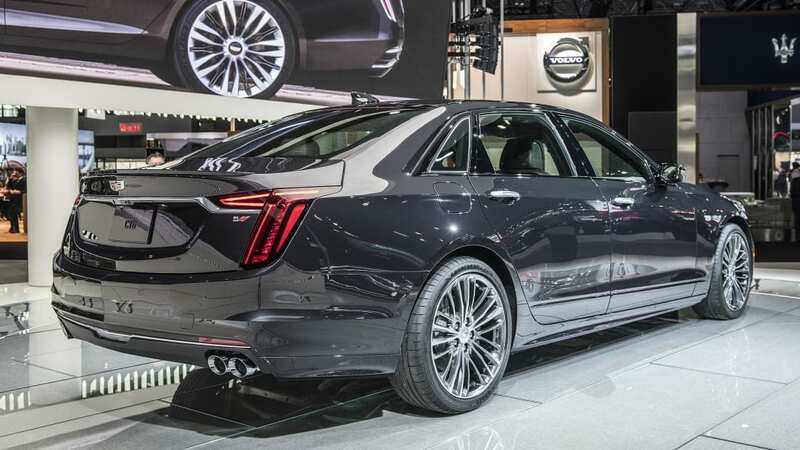 The decklid features an integrated spoiler, and a new chrome trim element runs between the taillights. 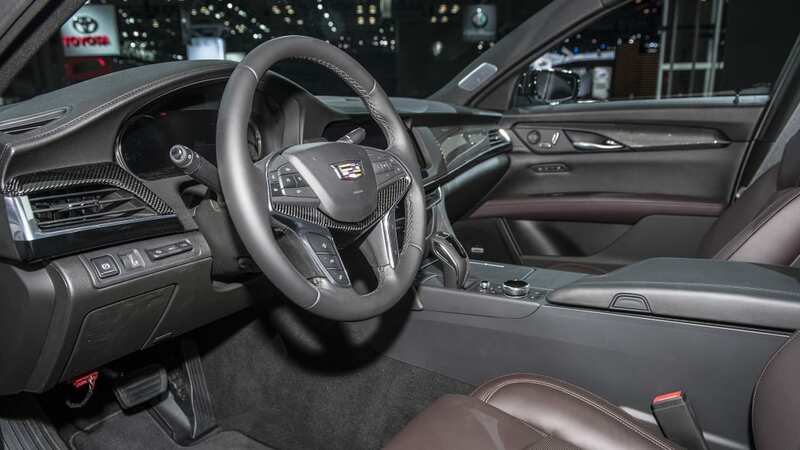 Inside, the Cadillac User Experience (CUE) moves to the generation already rolled out in the smaller sedans. Benefits include a new rotary controller and buttons. The controller handles scrolling, and oversees commands like volume and audio track selection, the buttons take one directly to menu pages like Home, Phone, and Navigation. There are upgraded response times and voice recognition, and OTA updates. The five-watt wireless charging mat grows to accept larger phones, and the rearview mirror that contains the rearview camera image goes frameless and adds zoom and tilt. 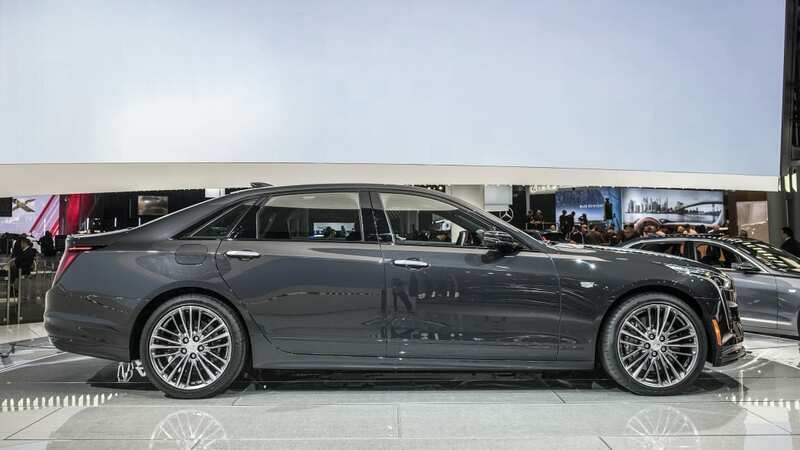 The refreshed CT6 ushers in a new forked lineup strategy for the brand's entire range, putting a Luxury trim on one side and a Sport trim on the other, our guess being a base trim will support the enterprise. This will mean a reorganization of the current choices; the 2018 CT6 comes in four flavors, Standard, Luxury, Premium Luxury, and Platinum.